You may have earned no income last year, or your income may be so low that you do not owe the Internal Revenue Service any taxes. Nevertheless, whether or not you have to file a tax return is subject to IRS rules, and in some cases you may be required to file even if you owe no taxes. Not everyone is required to file a tax return. If your income is below a certain level based on your age and filing status, you are not required to file a tax return. You may find the current income limits in the Form 1040 Instructions under the heading "Do You Have to File?" Remember that these filing requirements are based on how much you earned, not how much you owe. If you fail to file a tax return, the IRS may file a substitute tax return on your behalf. However, the IRS will rely on information available to it, which will probably not include some exclusions and deductions to which you are entitled. Even the IRS website admits that the substitute return it files is likely to overstate your actual tax liability. Accordingly, if you owe no federal taxes only because you are relying on certain exclusions and deductions, it is best to file a tax return in order to effectively claim them. If you have earned income while physically present in or a resident of another country during the tax year, you probably qualify for the Foreign Earned Income Exclusion, which will allow you to exclude up to $95,100 (in 2012) of your foreign-earned income. The mistake many expatriate taxpayers make is to assume that since they earned no income in the United States during the tax year, they don't have to file a return. In fact, whether or not you are required to file a tax return is based on your worldwide income. If you have never taken the foreign earned income exclusion before, and if you fail to file a tax return within one year after that tax return is due, including any extensions, the IRS has the right to refuse to allow you to claim the Foreign Earned Income Exclusion. This will result in you owing full federal taxes, despite the fact that you might have owed nothing if you had filed on time or less than one year late. Keep in mind that as long as your most recently filed income tax return claimed the Foreign Earned Income Exclusion, this exclusion will not be revoked in subsequent tax years for failure to file a timely return, even if your tax return is filed more than a year late. 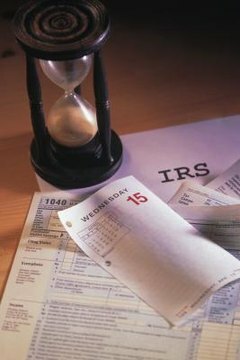 IRS penalties for failure to file a tax return are based on a percentage of the amount of tax due with that tax return. Consequently, if you fail to file a return for a year in which you did not owe any taxes (not necessarily including the situation in which you are relying on a revocable income exclusion), you will not be subject to any monetary penalty, as long as the IRS agrees that you owe no taxes for the year or years you failed to file on time. Although tax evasion is a crime that could result in a prison term, mere failure to file a tax return--even when one is due--is not considered tax evasion in itself. Filing a tax return that intentionally and falsely states that you owe nothing, on the other hand, would be considered tax evasion. Accordingly, if you fail to file a tax return in the mistaken belief that you are not required to, you need not worry about being charged with tax evasion. Carnes, David. "Do People Have to File If They Do Not Owe Taxes?" , https://legalbeagle.com/5261567-do-do-not-owe-taxes.html. Accessed 20 April 2019.